We told you kitchens sell homes and here’s proof! A spectacular transformation from dark, dingy and cluttered to streamlined and stunning. When designing for this home of distinctive presence and scale, we knew an ordinary kitchen just would not do. 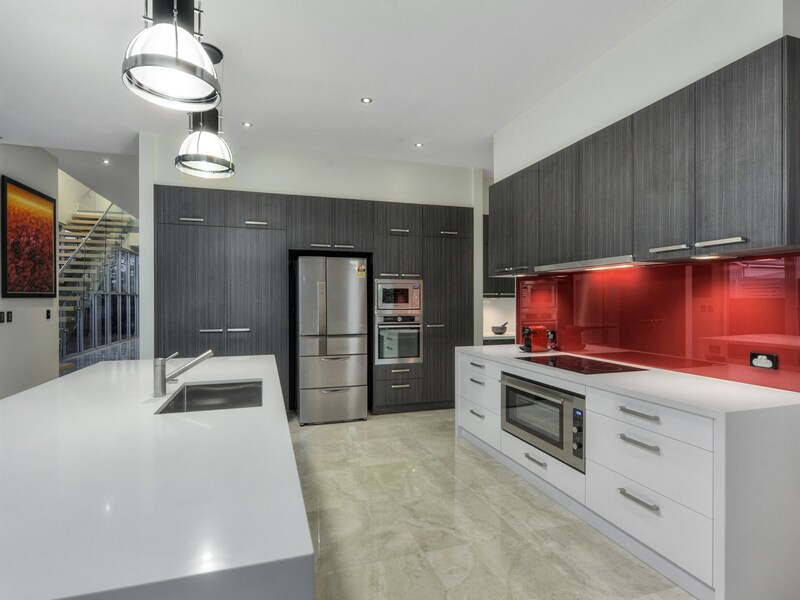 Charcoal timber veneer and the vibrant statement splashback were used to inject style and personality into this modern white architectural space. While the footprint of the actual layout is not too far removed from the original, the finished result is light years away. 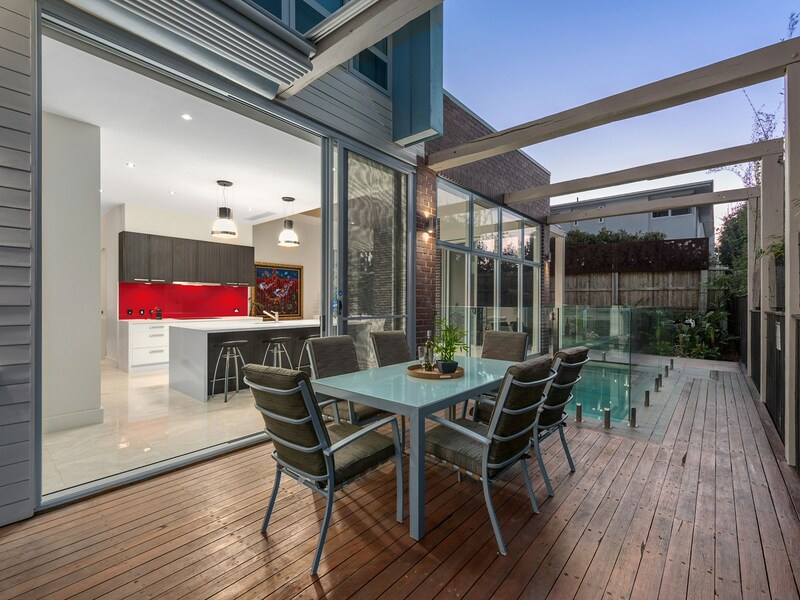 Suddenly, generously proportioned, bright and inviting, the new kitchen seamlessly transitions with the surrounding zones, commanding attention as the focal point of the open plan indoor/outdoor entertaining area. We knew this designer kitchen was a winner when we finished it, so it’s hardly surprising to hear not only did this Woodstock Cabinet Makers kitchen add value but also helped get this property sold within three short weeks. Music to the ears of anyone experienced with listing a property at this competitive end of the market. The first task was changing the design of the cabinets. Removing the open shelving gave us more room for storage and enabled us to move the refrigerator and microwave from the butler’s pantry for quick access. We were also able to integrate a second wall oven – a must if you’re appealing to young family. There is even touch sensor LED under bench lighting that comes on by simply waving your hand under the cabinet. Maximising previously under-utilised floor space by extending the depth of the island bench from 900mm to 1200mm was key to increasing the overall usability. This allowed room for a pull out bin drawer, integrated dishwasher, pull out hand towel racks and concealed storage on the opposite side – who doesn’t love extra storage? 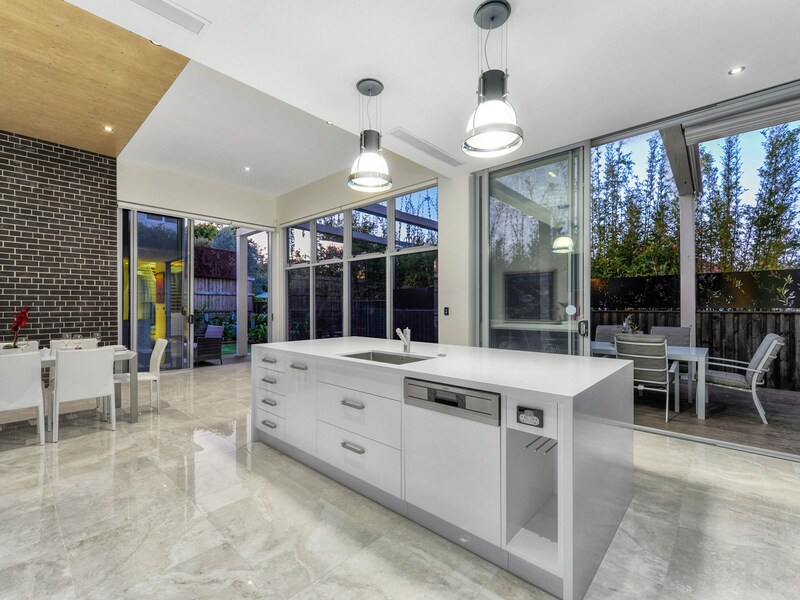 The elegant white Caesarstone benchtop with waterfall ends adds a touch of luxury, while creating a fabulous place to host guests or pull up a stool to enjoy a casual bite. Our client Steve was design savvy, it wasn’t his first time renovating a home and he had a clear idea of what colour palette, textiles and materials would work together. He’d experienced the professionalism of Woodstock Cabinet Makers for prior projects. 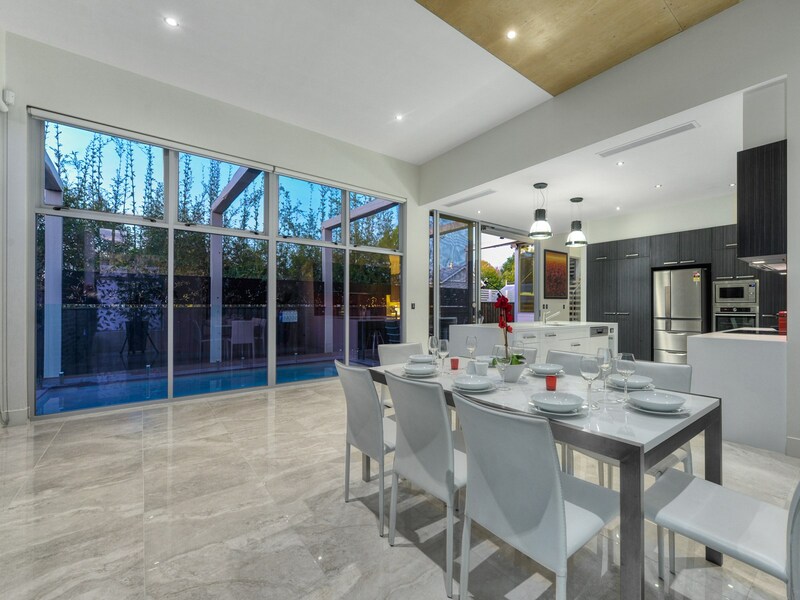 He was confident our industry expertise with what buyers really want would result in a dynamic space with uber style that would function as well as it looks. We included Steve in every stage of the design process to ensure we were working towards the same vision. While it may suit other clients to be less involved, we understand that clear communication is key for success. In his own words, “WCM have the highest attention to detail and the utmost care is taken in installation. There’s a reason kitchens can sell homes – they’re generally your biggest financial investment. That’s why it’s important to keep in mind when designing a kitchen you love, it’s also going to be one that your future buyer will love as well. Design consultation is essential to establish how clients use their current space, what does and doesn’t work. Once the function of a kitchen is decided then comes colour, textures, finishes and of course, budget. Another new kitchen for a new owner and a happy client, it’s everything Woodstock Cabinet Makers strives for in kitchens, bathrooms, and all custom cabinetry. So what can Jack do for you? Contact us via the contact page today to find out.